I just finished up a big project for a UMass Amherst grad student in Renaissance Literature. This was an intense, collaborative effort: Anne-Marie and I started with two versions of a paper analyzing Sidney’s Arcadia (a “pastoral,” which essentially is the 16th century’s version of a soap opera), merged them together, and created a new and improved mash-up which will be published next year as a chapter in a book. There were several steps in this process. First, I read through both original documents – a chapter from Anne-Marie’s dissertation, and her initial book submission – and gave a few suggestions about how she could make her argument more compelling and historically grounded (I can’t help it -- I'll always be an historian at heart!!). Then, I created a new Word document that contained all the disparate elements from the originals (content, arguments, analyses, quotes, citations, etc. ), and took out overlapping information and repeated sentences. Next, I re-organized the document according to an outline that Anne-Marie and I constructed, moving around sections and sub-sections to improve the narrative arc of the thesis, pointing out the places that needed more analysis, and suggesting transitions to make the whole thing flow more smoothly. This is an example of substantial revision. I used different fonts for each original document, to make it easy to track where the paragraphs (and even sentences and phrases) came from. I did some in-text editing, but at this point, I mostly inserted comments (red bubbles on the right) to clarify Anne-Marie's argument, ask her for more analysis, and make suggestions. And finally, I went back over the whole manuscript to make sure it conformed to the Belgian press’s style sheet – meaning the paper had to use U.K. English spelling, and adhere to the Modern Humanities Research Association’s format for footnotes, spacing, and punctuation. 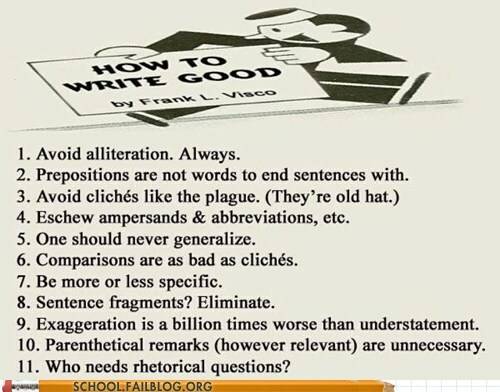 This and the previous step are examples of basic copyeditng and proofreading. Now, the document was much cleaner -- all of the red bubbles show where I changed double quotes (") to single quotes (') and "favor" to "favour" [those crazy Brits], and where I re-formatted the footnotes. It was ready for Anne-Marie's final look-over before submission. Revising Arcadia was so much fun! I loved getting a new perspective on Queen Elizabeth’s reign, and I have a new appreciation of how overwrought Elizabethan literature can be. Love triangles! No, love RECTANGLES!! Jealous nursemaids beating up their supposedly-wayward husbands in the town square!! Mothers falling in love with their daughters’ suitors!! Fathers falling in love with their daughters’ suitors – you know, the ones who appear to be Amazonian princesses but who really are Greek princes in disguise!!! And the subtext of all of these crazy stories: women should know their proper place, and Elizabeth should provide a son and heir. Ahhhhh… Renaissance patriarchy, how subtle ye be. In any case, I now am diving into back into historical fiction novels set in 16th Britain, because clearly I need a little more Tudor court intrigue in my life. Dr. Emily Moberg Robinson is a freelance writer and editor living in the San Francisco Bay area.